Home : Fashion & Style : Year one! Awwww, happy birthday little Anastasia! Oooh happy birthday to little Anastasia! I can’t believe how quickly time has flown, I still remember meeting you the first time at The Victoria Room a few days after you’d given birth and look at her, she’s now ONE! You both look gorgeous! 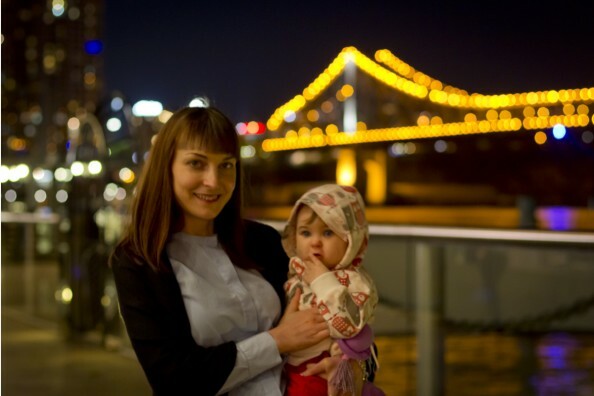 You both look so lovely.Nice of you to acknowledge Brisbane in your post! OMG she is a real sweetypie! Your blog is great, I really love your photos and your style!